What Would Jesus Say to Artists Today? What Would Jesus Say to Artists? 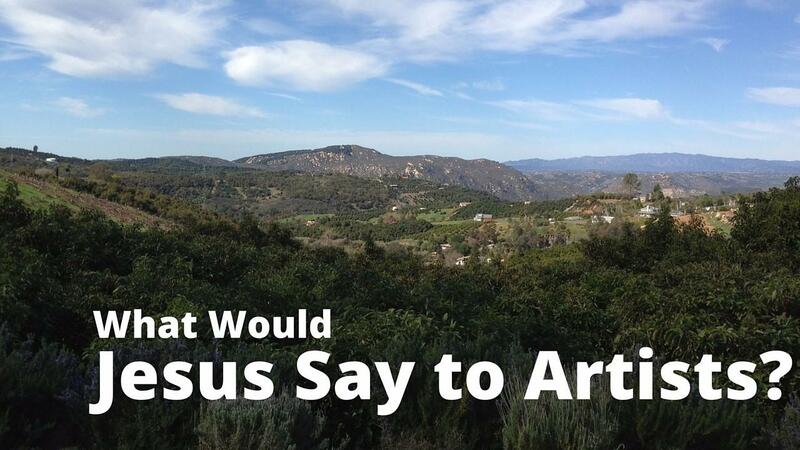 What would Jesus say to artists today? It's an intriguing question, isn't it? What would Jesus say about your life? Your heart? Your craft? Your creative calling as an artist? The Relational Bucket: Does Jesus really care about artists? The Emotional Bucket: How Do You Handle Fear, Doubt & Adversity? The Character Bucket: How Do You Cultivate Your Spiritual Life? The Calling Bucket: Is Art Your Passion, Calling or Vocation? The Craft Bucket: How Serious Do You Take the Importance of Craft? The Worship Bucket: Do You View Your Art as a Gift and Act of Worship? Join Joey and Roy for a stimulating and insightful conversation. Who knows? Jesus just might have something to say to you. The full one-hour audio webinar. A downloadable PDF if you'd like to take notes! All this for only $9.99... you can watch this Grove Class as many times as you like! Listen in as author Joey O'Connor and worship leader, Roy Cochran, explore an intriguing conversation about, "What would Jesus say to artists?" This conversation is designed to help you grow closer to Christ as you consider how to live a deeper life of faith and creativity. We think Jesus really cares about His artists... we hope you'll join us to learn why!